This is probably going to be fairly incoherent, in the sense that there isn't really a point I'm working towards in a narrative sense. Rather, the goal of this post is to provide an expanded background on me, specific to my involvement in gaming. Why? Well, as I noted in my introduction post, I'm one of the development team for the upcoming MMO City of Titans, and I do plan to make some posts about that game once we get closer to release date. But I think you, the readers, deserve a bit more perspective about my MMO bona fides, more of a disclaimer than just "I'm part of the team so naturally I'm going to be positive about this." at a rest stop on I-40 as a kid. 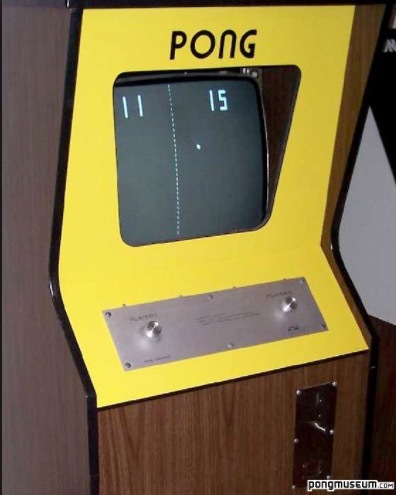 As of this posting, I'm 47 years old, which means I can (vaguely) remember a time before computer games were really a thing. 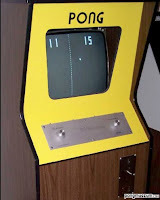 Sure, the very earliest computer games predate me, but the idea that anyone but bored academics would ever play them was still pretty alien until my childhood was well underway. When I was 12, I learned to program in BASIC on a Commodore PET and a handful of nifty new VIC-20s. Within a year, my family had a Commodore-64 and I was typing in games from magazine articles, splicing them together, and (as one did) pirating all sorts of games. I started to visit arcades and dump quarters into things like Tron, the wireframe Star Wars game, Altered Beast, and so forth. We never had an Atari or Intellivision at home, so my experience with early console systems was very limited. I didn't take a computer to college, though, and while I occasionally had roommates with PCs I could play Star Control or whatnot on, I mostly put my money and effort into tabletop gaming. The whole console revolution of Nintendo et al passed me by. I did get into MUSH-style gaming later in college, text-based games that were more about building and exploring and roleplaying, and less about combat (MUDs were for that, there were also MUSEs and later MUXes, all variants on the "Zork with multiplayer" concept). If you wanted to do combat, you usually adapted some sort of tabletop system...LegionMUSH had code built by the users that let us run combat using Mayfair's DC Heroes RPG and computerized dice, and I playtested early versions of my Modern Knights RPG in LegionMUSH and its successor Legion Outpost. This continued into grad school and beyond, where I played on various Mutants & Masterminds MUXes run by Fifth World's own Jason Tondro. 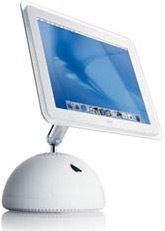 I was a dedicated Mac user, which meant my gaming options were pretty limited, but the text-based MU* systems would work on anything with an internet connection and a pretty basic client program. not so good for gaming. In 2008 I replaced my then-6-years-old iMac and for the first time had a machine with the right kind of core to even have a chance of running an MMO. A friend from LegionMUSH and Tondro's games, who these days generally goes by Warcabbit, gifted me a one month subscription to City of Heroes, which had released a Mac client a year or so previously (but which my old computer couldn't run, because a 2002-vintage iMac by that point was having trouble with browsers, much less graphics-heavy games). I got into it. A lot. Poster child for "alt-itis," I was. (Alt-itis, or the swelling of alternate character rosters, is a syndrome in which you just keep coming up with new ideas and playing them all.) Seriously. I maintained a Google Sheets spreadsheet to keep track of all my characters, their keybinds, when I'd last played them, etc. Like many players, I was deeply hurt by NCSoft's decision to shut down what, to all Western appearances, was a moderately successful game that more than paid for itself. I'd largely given up on the MU* stuff by 2009, completely giving my free time over to City of Heroes. Around that time, I also started changing jobs every year or two, which made it hard to establish in-person social connections and pushed me more into using online communities for my social life. And worst of all, I was beginning what was to be a year of unemployment when the news dropped about City of Heroes. I used the three remaining months of the game's life with gusto, getting a bunch of totally new characters all the way into endgame content, doing things I'd never gotten around to before, and so forth...and all the while trying to figure out where I'd go next. The communities were scattering (LiveJournal, which was not yet a branch of the Kremlin, helped keep some of us together), and most of the City of Heroes players were going into games where I could not follow. By 2012, the "let's do a Mac client" experiment was largely winding down, and games were starting to quietly drop supports for their Mac versions, or not making them in the first place. There just weren't a lot of superhero MMOs anyway, even if I were to play via an emulator. In Part 2, I wander the wilderness of the MMO-scape and see a light on the horizon...and go towards that light. Dvandom, aka Dave Van Domelen, is an Assistant Professor of Physical Science at Amarillo College, maintainer of one of the two longest-running Transformers fansites in existence (neither he nor Ben Yee is entirely sure who was first), long time online reviewer of comics, player who keeps managing to get the same character into every MMO, occasional science advisor in fiction, and part of the development team for the upcoming City of Titans MMO.